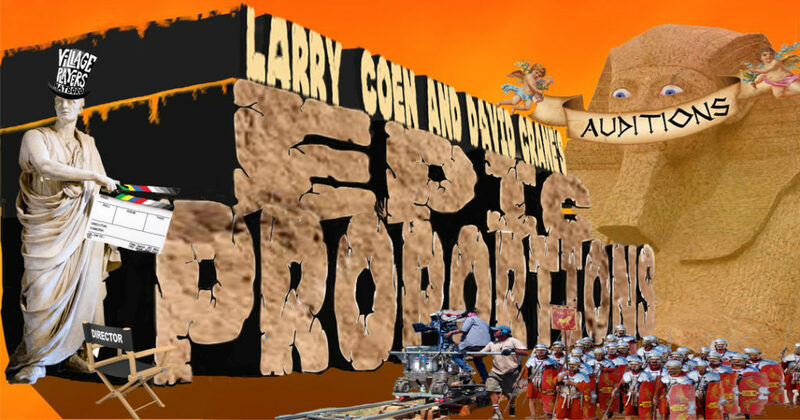 The Village Players of Hatboro are excited to announce auditions for Epic Proportions, a riotous comedic tale of grand scope and magnitude written by Larry Coen and David Crane. We’re still in need of several FEMALE ensemble roles and will be holding a third night of auditions TONIGHT between 5:30PM and 7:30PM at VPH! Specifically, we need women to fill the roles of Cleopatra, a French costume designer, and an Egyptian dancing girl among a few other roles. These roles may be combined or split as needed. If you have any questions, please contact director Gina Lutz at gina@thevillageplayers.com or producer Rich Lutz at rich@thevillageplayers.com. Auditions consist of cold readings from the script. First time actors are warmly welcome! SHOW DATES are August (2017) 4, 5, 6, 11, 12. All actors who are cast MUST be available for all show dates, as well as Tech Week (Sunday, July 30th through Wednesday, August 2nd). REHEARSALS will be subject to actor availability. 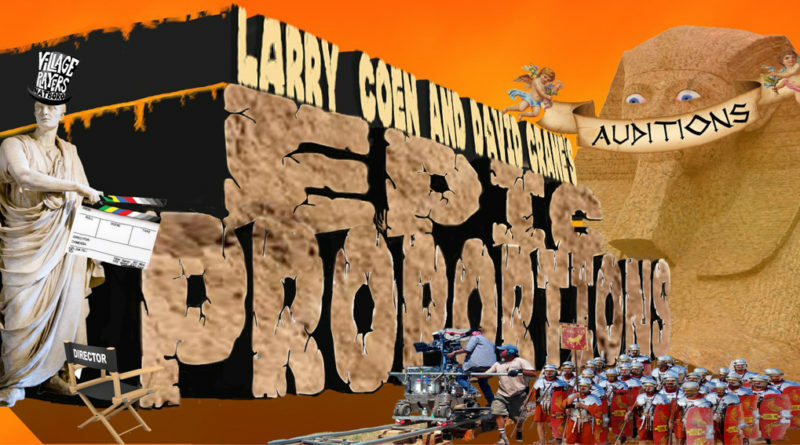 (Farce) Set in the 1930s, Epic Proportions is a tale of sumptuous theatricality and grandiose hijinks. Two brothers, Benny and Phil, take the chance of a lifetime to go to the Arizona desert to be extras in the huge Biblical epic, Exeunt Omnes. Peppy though frazzled Louise Goldman has the monumental task of wrangling the hapless extras. Between gladiator battles, jealous Egyptian queens, the Ten Plagues, and a cast of thousands portrayed by twelve other actors, the brothers soon find themselves in the peculiar position of running the entire production. Produced on Broadway starring Kristin Chenoweth, Alan Tudyk, and Jeremy Davidson, the play features farcical, Mel Brooks-esque humor a la History of the World Part 1 and unimaginable amounts of silliness. Head to the Village Players of Hatboro and join in the fun! Seeking actors of all ethnicities and ages over 18 with great comedic timing. Fight experience and improv helpful but not required. Jack (+ensemble) is Mr. DeWitt’s second in command. If Mr. DeWitt can’t finish this movie than he’ll do it by himself! He will make the decisions for a change! Shel (+ensemble) is the put-upon technical specialist who can’t live up to Jack’s expectations. He finds hope for his career once Phil is put in charge, but eventually just wants to go home like everyone else. Anyone cast in the ensemble will have limited lines and be playing multiple roles. Questions? Please contact Director Gina Lutz at gina@thevillageplayers.com.